Address: 453870 Republic Bashkortostan, Meleuzovsky r-n, pos. Nurgush, Khudayberdina st., 15. 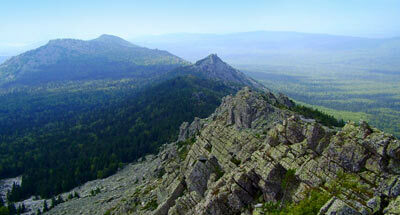 The Park is situated in the Meleuzovsky, Kurgachinsky and Burzyansky Districts of the Republic of Bashkortostan. The Park was founded in 1986. Its area is 98,4 thousand ha. The Park’s territory includes low mountains and the flat heights of the Southern Urals (the mountain ridges of Kibiz, Utyamysh and part of Bash-Ala-Tau) and the Nugushskoye water reservoir. 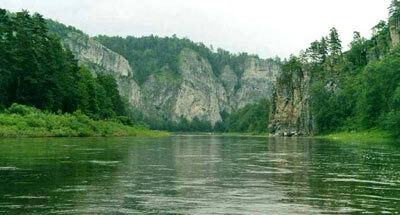 A natural bridge across the river Kuperlya is among its rare features. In the broad-leaved forests oak, lime, maple and elm prevail. Some times spruce and pine forests are seen. As for rare and disappearing plants’ species, Minuartia helmii, Koeleria sclerophylla, Cypripedium macranthon, yellow lady’s slipper, and Cephalanthera rubra are present. 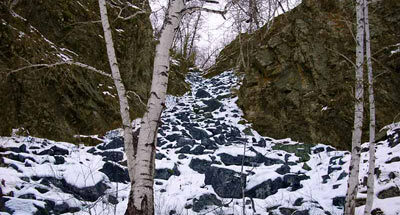 The animal population is characteristic of the leaved and mixed forests of the Southern Urals. Marten, brown bear, wolf, elk and roe are common.